15 Feb Nevada Museum of Art – Hands On! 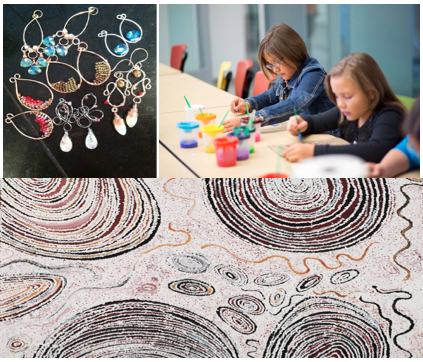 opening of “No Boundaries: Aboriginal Australian Contemporary Abstract Painting” February 14 with FREE museum admission, fun family activities all day, and jewelry artist Kristi McKay’s Valentine’s Day pop-up shop in the Museum Store! Stop by and make it a #MuseumDay.